Unfortunately, we have to announce that EA SPORTS™Rory McIlroy PGA TOUR® will soon be removed from digital storefronts and will no longer be available for purchase. It will also be leaving the EA Access Vault on May 22, 2018. We’re sad to see any title leave the collection, and rest assured that we’ll do our best to limit removals in the future. For now, we hope you enjoy the other great games in our service, and we look forward to bringing you even more. 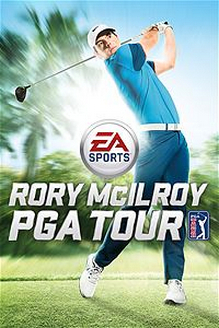 Rory McIlroy PGA Tour remains available for purchase on physical media for both Xbox One and PlayStation 4. In EA SPORTS Rory McIlroy PGA TOUR, we wanted to give you the ability to customize your gameplay experience to your liking. There are three gameplay styles to choose from: Arcade, Classic and Tour.